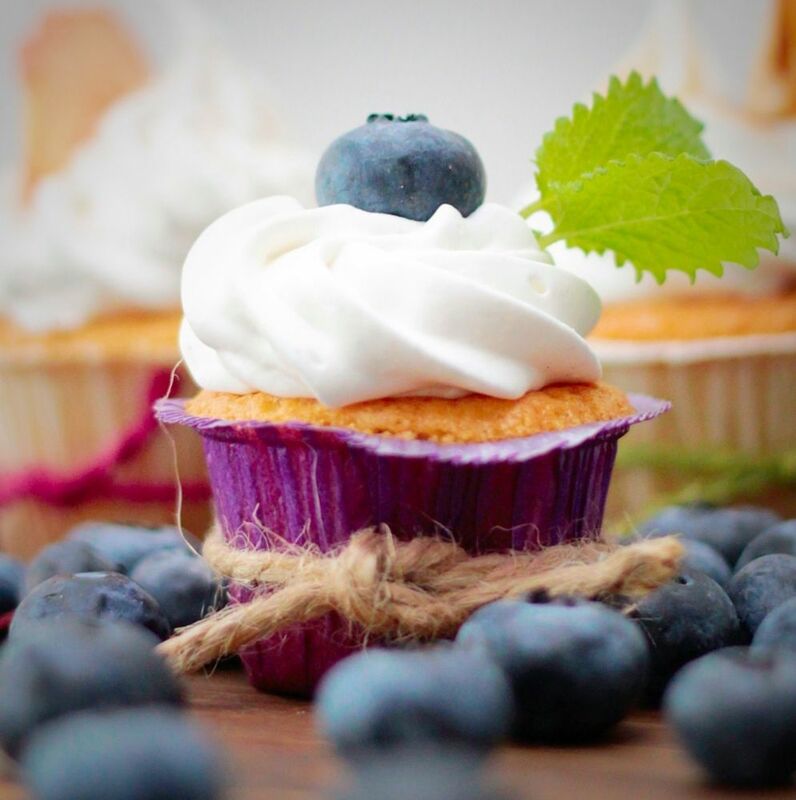 100% gluten free blueberry, lemon and poppy seed cupcakes with cream cheese frosting! 1. Preheat the oven to 200oc / gas 6. 2. Grease a 12 cup muffin tin or use paper cupcake cases. Sift the flour, baking powder and salt into a bowl. In another bowl, whisk the eggs, then add melted butter, milk, vanilla extract, lemon rind and stir to combine. 3. Make a well in the centre of the dry ingredients and pour in the wet mixture. Stir with a spoon until the ingredients are just combined, then fold in the blueberries poppy seeds and lemon juice. 4. Spoon the mixture into the cups leaving room for them to rise and bake until the tops spring back - for around 20-25 minutes. 5. Leave to cool for 5 minutes in the tray before turning out, then leave to cool completely before adding the frosting. 6. To make the frosting simply beat together the soft butter with the icing sugar, then beat in the cream cheese and vanilla seeds. Pipe or smooth on top!